Effie Trinket and Haymitch Abernathy ~ Fanmade Banner. 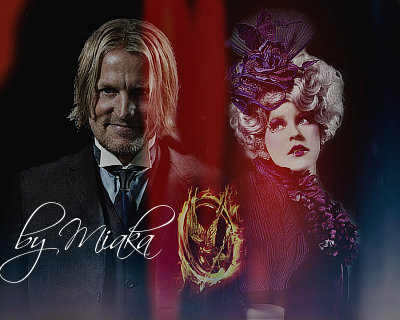 A banner I made of Effie & Haymitch, since I really Liebe the two characters. Bilder used 3 - If Du would like to use it just let me know, I do have it without my name on it. It's on there because my work has been stolen before.. Wallpaper and background images in the Die Tribute von Panem club tagged: the hunger games characters fan art effie trinket haymitch abernathy. This Die Tribute von Panem fan art might contain geschäftsanzug and business-anzug.